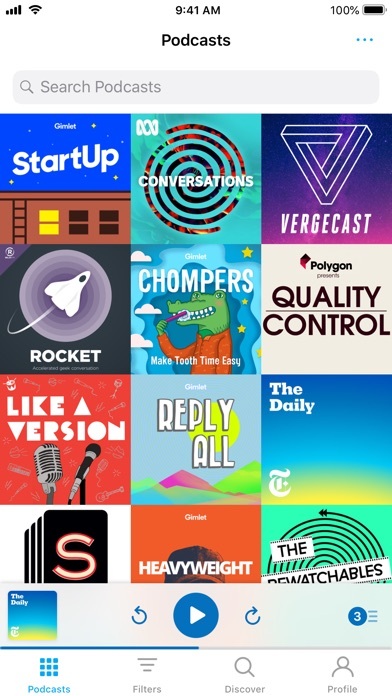 Pocket Casts is the world's most powerful podcast platform. 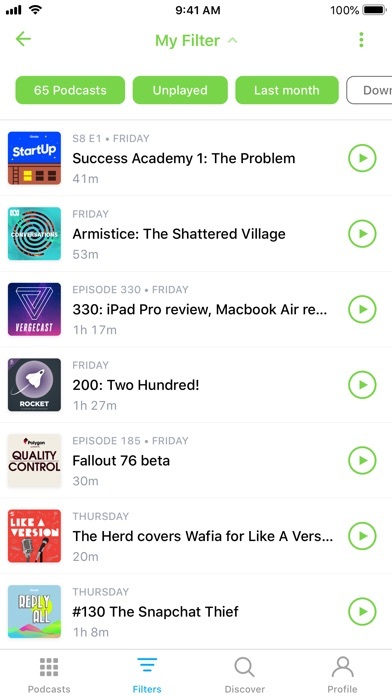 Wired: "Pocket Casts Is the Podcast App Every iPhone User Needs" iMore: "Pocket Casts is the best podcast app for iPhone" With a unique set of simple yet powerful features and a limitless podcast database, you're sure to find something you love. 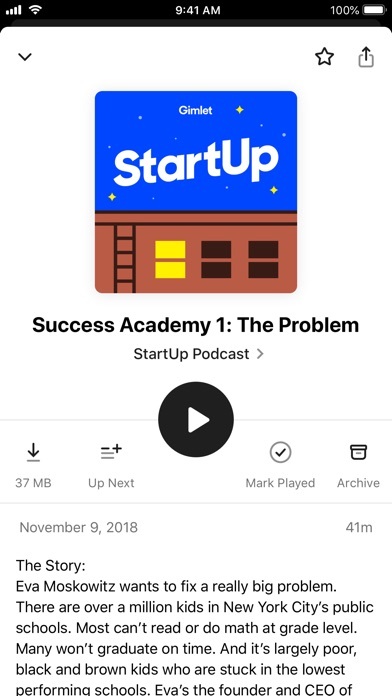 WE SWEAT THE DETAILS Design: Easily listen to, manage and find new podcasts. Themes: Whether you're a dark or light theme person we've got you covered. We even have you OLED lovers covered with our Extra Dark theme. Universal: Custom but familiar iPad interface, supporting Slide Over, Split View and Picture in Picture. Everywhere: CarPlay, AirPlay, Chromecast and Sonos. Listen to your podcasts in more places than ever before. POWERFUL PLAYBACK Up next: Automatically build a playback queue from your favorite shows. Sign in and have that Up Next queue sync to all your devices. Trim silence: Cut silences from episodes so you finish them faster, saving hours. Variable speed: Change the play speed from anywhere between 0.5 to 3x. Volume boost: Increase the volume of voices, while decreasing background noise. Stream: Play episodes on the fly. Chapters: Jump between chapters easily, and enjoy embedded artwork that the author has added (we support MP3 and M4A chapter formats). Audio & video: Play all of your favorite episodes, toggle video to audio. Skip playback: Skip episode intros, jump through episodes with custom skip intervals. Apple Watch: Control playback from our Apple Watch app, adjust the volume or change playback effects, all without ever touching your phone. Sleep timer: We'll pause your episode so you can rest your weary head. Airplay & Chromecast: Send episodes straight to your TV or speakers with a single tap. 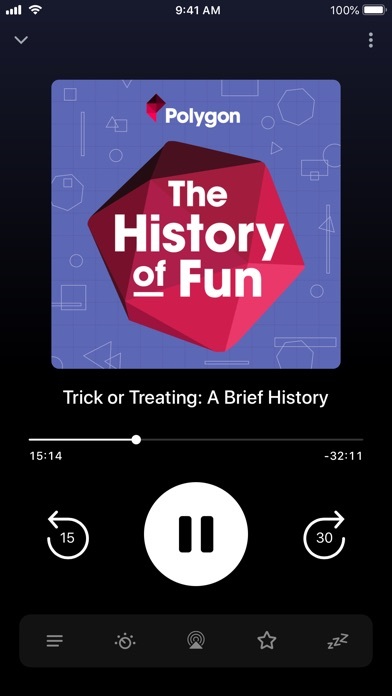 Sonos: Browse and play your podcast collection directly from the Sonos app. CarPlay: When you're in the car, so are we. SMART TOOLS Sync: Subscriptions, Up Next, listening history, playback and filters are all securely stored in the cloud. You can pick up where you left off on another device and even the web. Refresh: Let our servers check for new episodes, so you can get on with your day. Notifications: We'll let you know when new episodes arrive, if you like. 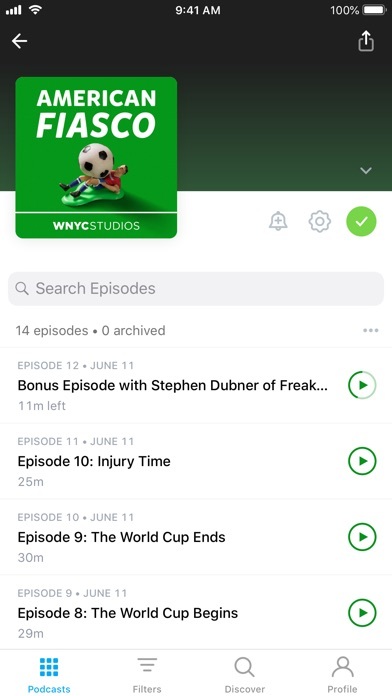 Auto download: Automatically download episodes for offline playback. 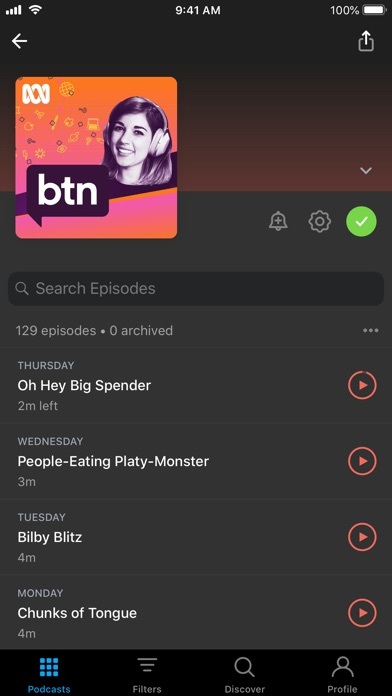 Filters: Custom filters will organize your episodes. Storage: All the tools you need to keep your podcasts tamed. ALL YOUR FAVORITES Discover: Subscribe to any podcast in iTunes and more. Browse by charts, networks and categories. Share: Spread the word with podcast and episode sharing. OPML: Jump on board without any hassle with OPML import. Export your collection at any time. There are many more powerful, straight-forward features that make Pocket Casts the perfect podcasting app for you. So what are you waiting for? 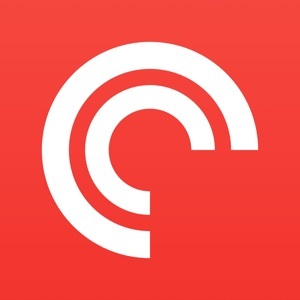 Visit pocketcasts.com for more info about the web and other platforms supported by Pocket Casts.